If you’ve been experiencing upper back pain, physical therapy exercises may help relieve your discomfort. These exercises can counteract bad habits such as slouching at your desk, neglecting to stretch before working out, or overtraining certain muscle groups. Building muscle strength can also help to support the spine and prevent nerve pain. While it’s common among athletes and weightlifters, upper back pain may have a more serious underlying cause — so you should consider visiting your doctor for a comprehensive diagnosis. In the meantime, you may find that consistently performing the following four exercises can help alleviate pain and even prevent future injuries. 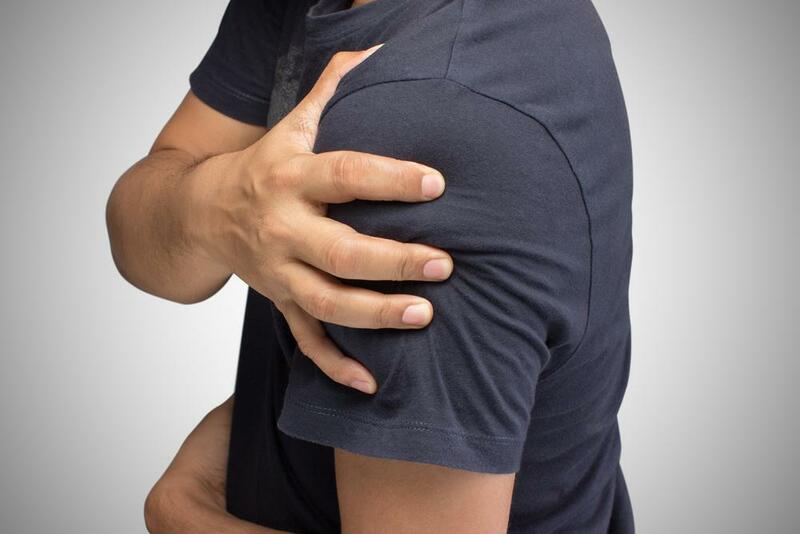 The shoulder squeeze is easy but effective, and you can perform it at your desk throughout your work day. Simply raise your bent arms at your sides, palms facing forward, with your upper arms horizontal. Lean forward slightly to avoid rounding your back. With your shoulders relaxed away from your ears, move the arms slightly back, engaging the shoulder blades and pulling them together. Hold this position for about 10 seconds, then release. Repeat five times. This move will stretch your pectoralis muscles, counteracting a slouching desk posture and loosening up the tight shoulder muscles that can contribute to upper back pain. Stand in an open doorway (or a corner) with your hands just above your head. Lean forward, through the doorway, for a 15-30 second stretch. Alternatively, you can step forward in a lunge to support a deeper stretch. This simple stretch helps stimulate blood flow in your upper back and stretches the muscles around the shoulder blades. Touch your fingertips to your shoulders, bending and lifting your elbows so that each arm becomes a “wing” parallel to the ground. Bring your elbows in toward the middle until you feel the stretch. Hold for 5-10 seconds, and repeat about five times. Avoid hunching your back — instead, keep your shoulders relaxed and away from your ears. Foam rolling has become popular as a form of self-massage that can relieve muscle tension, increase mobility, and help with blood flow. Its purpose is to relax your thoracic spine over the roller, improving spine extension and increasing mobility in the vertebrae joints. Be sure to stretch or warm up before beginning this exercise. Lay the foam roller on the ground, perpendicular to your body. Lie down with the roller beneath your shoulders, then use your feet to lift your glutes, transferring the weight into your shoulders. Keep your hands on your head with your elbows forward, to help open up the back. Roll slowly down the spine, pausing for about 20 seconds if you find a spot that is slightly sore. Avoid the most tender spots, and instead pause a couple of inches away to loosen the surrounding area. Stop when you reach the bottom of your rib cage — while your upper back is protected by your muscles and shoulders, the lower back is more easily injured. You can also try foam roller “crunches”: fully relax the spine and breathe deeply as you slowly lower your upper body over the roller. The goal is to let your spine bend backward, safely. Try about three crunches every few inches along the upper spine, being sure not to rush or strain yourself. While the above exercises may be helpful, others may aggravate your symptoms. Avoid sit-ups, which can strain the discs in your back and stress the neck. Skip double-leg lifts for the same reason, and try single-leg lifts instead. Avoid exercises where you may slip into a bad posture and damage your shoulders, like push-ups, or biking with a rounded back. These exercises are not without risk, especially if you have an undiagnosed upper back injury. 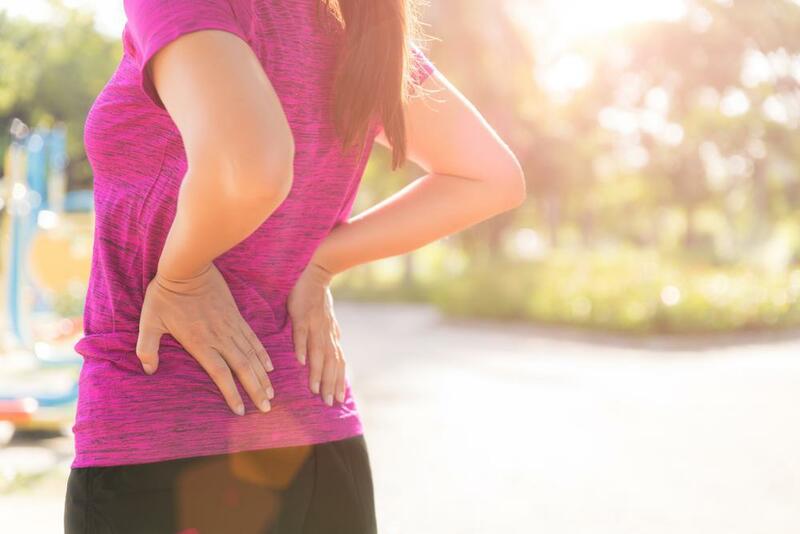 Schedule an appointment with an orthopedic specialist before you begin an exercise regimen to ensure that your pain isn’t being caused by a degenerative spinal condition or muscle strain. Certain exercises could actually aggravate your injury by causing further inflammation or tearing. But for many people, simple physical therapy activities are a good way to start loosening tight muscles, building up your back and shoulder strength, and relieving pain.